Walkers are Welcome UK Network is a nationwide initiative launched in 2007 to encourage towns and villages to be ‘welcoming to walkers’. 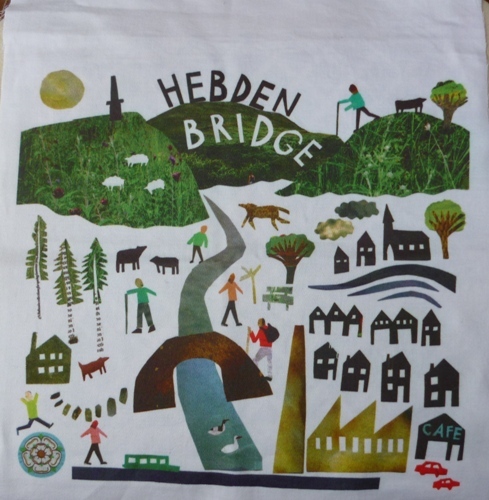 Hebden Bridge was the first Walkers are welcome town. Since then, the network has expanded rapidly and there are now over 100 towns and villages across the UK that have joined this community-led scheme. In most towns and villages Walkers are Welcome is overseen by a group that combines local businesses involved in the visitor economy, local councils, http://healthsavy.com/product/diclofenac/ Local tourism teams and walking organisations. In Hebden Bridge, perhaps because it was the first Walkers are Welcome town, not such group has been established. This a is a priority for Hebden Bridge Walkers Action. Our sister town Mytholmroyd has also established itself as a Walkers are Welcome town, overseen by Mytholmroyd Walkers Action. For more details about their work, including their innovative childrens’ walks, look at their website. We also helped to established TodWalkers in Todmorden in 2015, and they now have Walkers are Welcome status too. In 2014, Walkers are Welcome created a national banner. Each Town submitted a square. Hebden Bridges square was designed by Louise and Lizzy Lockhart. We though the design was so good that we have made it into a greeting card which you can buy at the Visitors Centre, the Bookcase and outlets in the town.